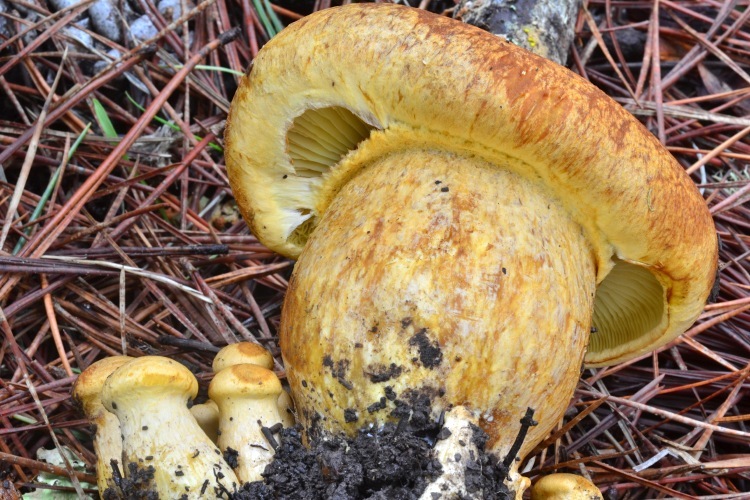 Gymnopilus are relatively common (and sometimes abundant) woodrotters. Most species produce warm-colored fruitbodies with orange, reddish or yellowish-orange pigments. A partial veil is present in all species, although sometimes it is present only as an evanescent cobwebby cortina, while in others it is a membranous ring. 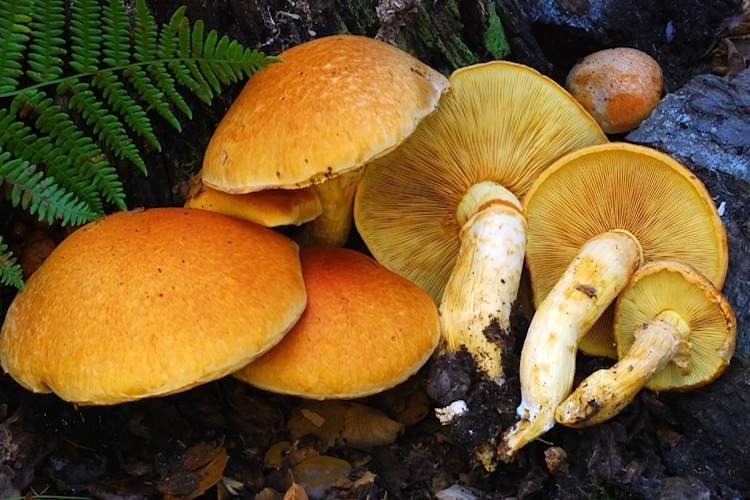 All are saprobic decayers of rotting wood (sometimes buried), taste bitter, and produce rusty spore deposits. 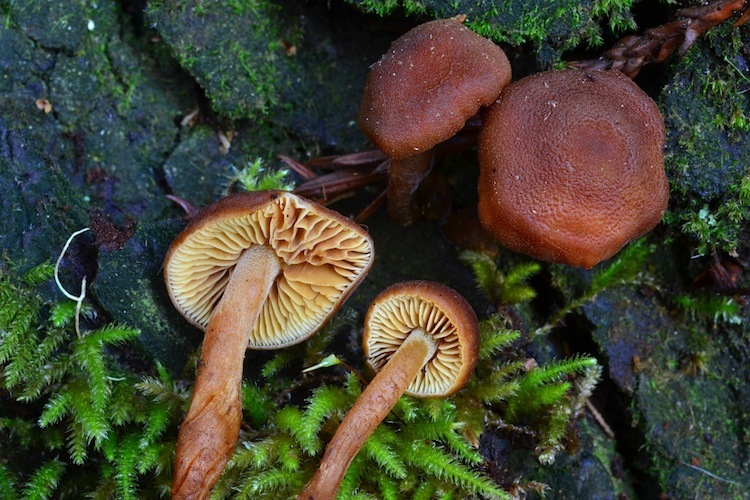 Various species occur in forest settings, but since woodchips have started being used commonly in urban settings, Gymnopilus can now sometimes be found in abundance in gardens, landscaping areas, etc. All are too bitter to consider eating, and some are legitimately toxic and/or hallucinogenic. Relatively few species are found in our area, and are fairly easy to recognize, but nomenclature issues are still outstanding and some of the smaller species may actually be undescribed. Important identification characters include size, structure of the partial veil, identity of the woody substrate, and microscopic features (especially for the smaller or less distinctively-colored species).